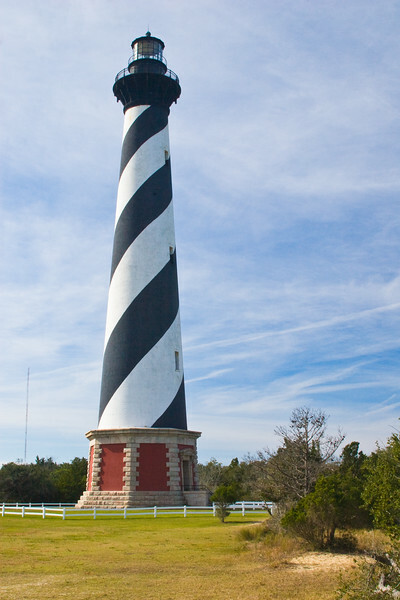 The Cape Hatteras Lighthouse, known as "America's Lighthouse," is the tallest brick beacon in the U.S., standing 208-feet high. The substantial structure, built in 1870, is black and white spiral-striped and the international symbol of the North Carolina coast. The lighthouse, one of our most recognized and beloved landmarks, is open for climbing from mid-April through Columbus Day.